The world is changing.. and so are the learning circles! During an interactive learning process of 7 weeks time, students enjoy worldwide peer learning on the 17 Sustainable Development Goals (SDGs). By creating and sharing their work, students are able to connect and learn globally with their peers, meanwhile developing various future skills. Students will use the methodology of peerScholar as their tool for peer learning, to create and reflect on their own and their peers’ learning process. To increase ownership of learning, students will set their own learning intentions and success criteria. Working in a Peer Learning Circle is very exciting because it includes student engagement, collaborative learning, global citizenship and the development of future skills. The 2030 Agenda for Sustainable Development, adopted by all United Nations Member States in 2015, provides a shared blueprint for peace and prosperity for people and the planet, now and into the future. The 17 Sustainable Development Goals (SDGs) are an urgent call for action by all countries – developed and developing – in a global partnership. By putting the SDGs at the heart of the Peer Learning Circle, we create awareness and provoke ideas about ways to end poverty and other deprivations. The challenge is to focus on these ‘big goals’ and contribute to small steps for every global citizen, including young people who can make a difference! Each class is divided into groups that work on a proposal for one of the SDGs. Students outline facts and challenges, starting with an introduction of themselves and the SDG they have chosen. What can I do to support this SDG? What can we as a group or our community do to make this goal feasible? How can governments take responsibility and bring about positive changes? April 1 – 12 – Assess the proposals from 4 groups in other schools/countries. In these two weeks, students can look closely at the work of peer groups presented in peerScholar. Each group assesses the content, design and quality of the proposal, based on goals and criteria that were set, and gives constructive feedback in the form of ‘two stars and a wish’. April 15 – 26 – Reflect on the feedback received and revise your work. In the final phase, students process the feedback they received. After describing how useful the feedback was, they reflect on their work and use constructive comments of their peers to improve their proposal. All participating classes can already start in January and/or February to prepare their peer learning process. 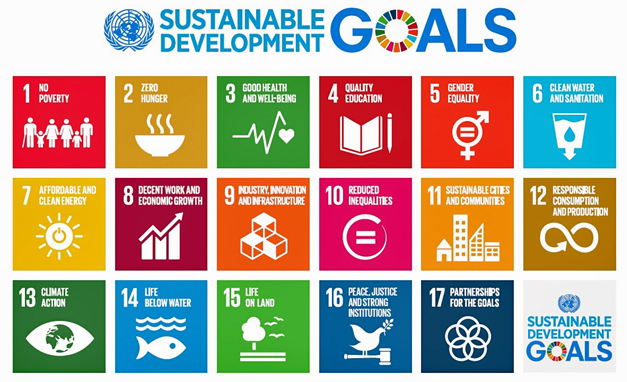 On this page you can find the preparation details and resources about the SDG’s. Also, you will receive a newsletter regulary. Once each group has finalized their proposal, each class chooses a proposal they think is best to be published. The coordinators of the Global Teenager Project will create a worldwide publication of all the ‘winning’ proposals. Of course, every participating class receives a copy of the publication! In collaboration with peerScholar Canada and iEARN.